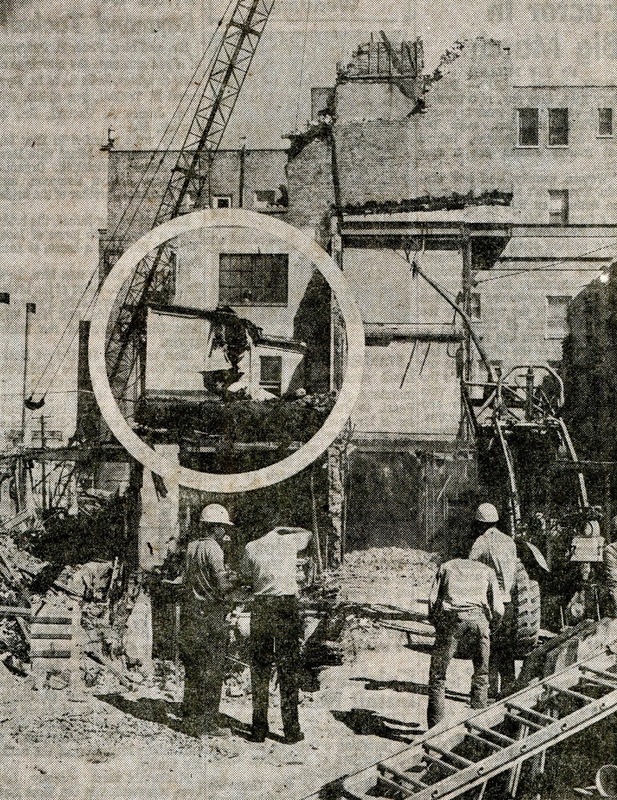 Leland Parker Demolition – in 1963 as the Leland Parker Hotel was being demolished the crew found a building within the Leland Hotel. There was a two story wooden building that had been encased by the Leland. Portions of the old wooden structure were used as rooms in the hotel but an area above the wooden building had been left open as the brick and block roof would have been too heavy for the structure. 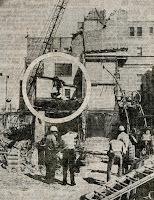 The first floor had been remodel several times over the years and brick walls surrounded the structure. The Leland Parker Hotel stood on the spot now occupied by Art Space.